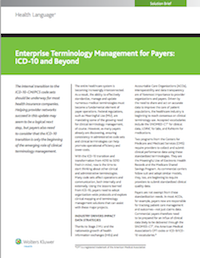 As a payer, are you prepared for the ICD-10 transition? This will only be the beginning of the emerging role of clinical terminology management for you. To access the white paper, please fill out the form to the right.